TSNPDCL AE Answer Key 2018: TSNPDCL Assistant Engineer (Civil, Electrical) provisional answer key made available on TSNPDCL WEBSITE www.tsnpdcl.in and http://tsnpdcl.cgg.gov.in. 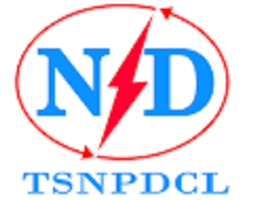 The Northern Power Distribution Company of Telangana Limited has invited online Applications from qualified candidates through the proforma Application to the posts of Assistant Engineer (Electrical), Assistant Engineer (Civil). The Telangana State Northern Power Distribution Company (TSNPDCL) has successfully conducted written Examination for the post of TSNPDCL Assistant Engineer (AE) 2018. Candidates who have applied for the examination can now download the provisional answer keys from the link given below and from the Official Website. The TSNPDCL AE Exam was held on 15th July 2018 from 10.30 AM to 12.30 PM. The provisional key will be publicized one day after the examination i.e., on 16-07-2018. 9. If any objections on the provisional key can be raised and send to email : ebrt2018@gmail.com within 3 days i.e., up to 19-07-2018 .